It’s good to learn that members of the alumni of our Young Crawford group are going on to do work related to international agricultural research. Anthony Leddin was one of our Young Scholars back in 2011 and raised his plans of establishing a group called “Plant Breeders Without Borders“. Anthony has maintained his focus on the idea of a group similar to ‘Doctors without Borders’ – where plant breeders would volunteer to work overseas on specific projects where they could train local plant scientists and share their insights and knowledge with the developing world. 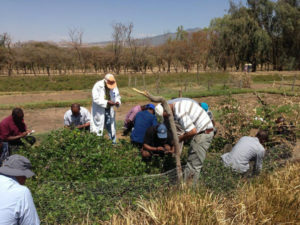 We were pleased to be able to assist Anthony with his first pilot project training 18 people in Ethiopia how to breed plants for the highlands through the International Livestock Research Institute. 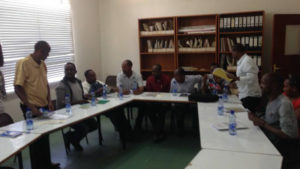 The participants were trained how to become plant breeders in both cross- and self-pollinated species. This training was seen as important due to a number of factors. Currently Ethiopia is experiencing a great bottleneck in the supply of forage for its livestock. 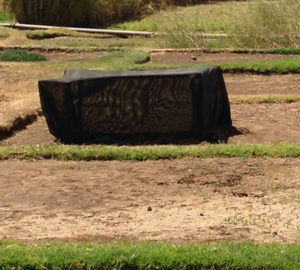 No overseas company is willing to invest their newly bred varieties into a marketplace where the informal seed system would quickly see the loss of control of production of that variety. Registration of new varieties coming into Ethiopia can take up to seven years before they can be allowed to be used by farmers. This strict system implemented by the government could be stifling investment in this sector. The course involved both theoretical and practical components. In the theory component, participants had to determine if an unknown plant was self- or cross-pollinating and whether it was insect- or wind-pollinated. They learned different techniques for crossing plants with the different pollination mechanisms. The course gave them the skills to create their own breeding programs and they were also given information to prepare them if they were to set up a business in this field in the future. At the end of the training, participants were able to use the practical crossing techniques they learned, with minimal flower damage which indicates there would be a high percentage of successful crosses. The participatnts were higly engaged in the content, asking many questions asked in the theoretical sections. Further, at the end of the course, everyone competently completed an exercise to design their own breeding program.